The word “fat” can drum up a whole lot of uncomfortable emotions. Whether it’s fat in our food or fat on our bodies, there’s a pervasive fear around fat that makes many of us turn our heads and run. Millions of people have avoided dietary fat with ninja-like covert precision, yet collectively we’ve seen our society’s rates of obesity and body-fat related illness skyrocket. Was the fat in our diets the problem all along? Or was there something else happening behind the scenes? 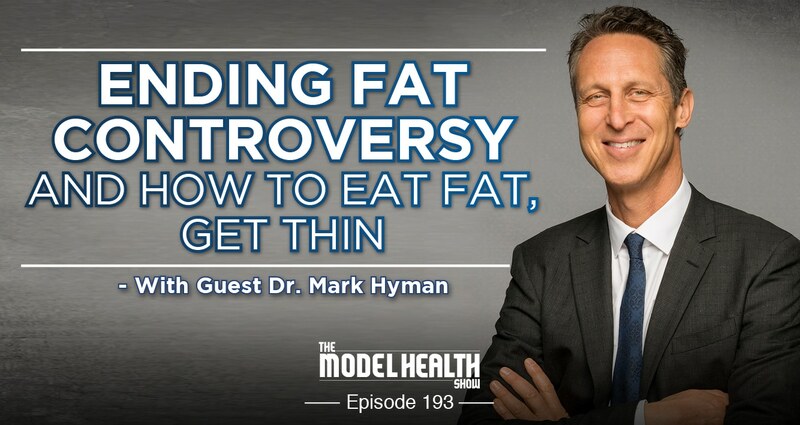 To answer your fat-related questions we have on one of the top Functional Medicine Physicians on the planet, Mark Hyman, MD. Dr. Hyman has been a true pioneer in the field of health and wellness, and he has ten #1 New York Times bestselling books to prove it. He walks his talk, and today he’s here to share some of the most important information regarding your nutrition choices that you’ll ever hear. So, tune in, take good notes, and enjoy! Dr. Hyman’s surprising story that led him to practice medicine. Why most of today’s physicians are not trained in preventative healthcare. Where the controversial belief that dietary fat is bad for our health stems from. How today’s fear of fat is also a language issue. What’s at the root of health issues like diabetes, high cholesterol, and obesity. What some of the biggest benefits of dietary fats are. The impact that dietary fat has on insulin. Where to find nutritious fats with the most historical usage. Critical insights about the potential dangers of vegetable oils. Important tips for buying and storing olive oil. How dietary fats impact brain health. Foursigmatic.com/model ⇐ Get 15% off your daily health elixirs and coffee! The Eat Fat, Get Thin Cookbook ⇐ Check out the new cookbook!